Note – This is a month late. I had technical difficulties with the images displaying on the original post and then ran into the holidays and work that kept me far too busy. A month late, but here is the MxMO post that was in the works. Apples have been an American booze staple with Johnny Appleseed as its symbolic hero. John Chapman became that legend by planting apple tree nurseries across the northern Appalachia and the Midwest. 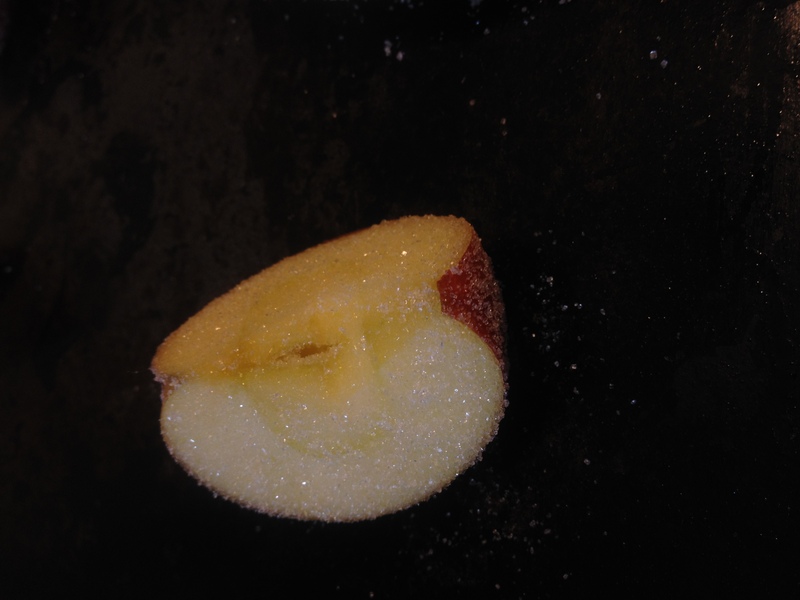 He did not choose grafting techniques to reproduce sweet edible ones, but bred them to make sour apples perfect for cider and applejack. Michael Pollan in The Botany of Desire proclaimed, “Really, what Johnny Appleseed was doing and the reason he was welcome in every cabin in Ohio and Indiana was he was bringing the gift of alcohol to the frontier. He was our American Dionysus.” Apple products began to enter into the mixed drink literature in the 19th century with the Stone Fence appearing in Jerry Thomas’ Bartender Guide and got quite refined by the end of the century such as the Widow’s Kiss in George Kappeler’s Modern American Drinks. 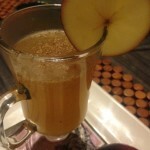 Indeed, apples have found their way into modern cocktails via Calvados, applejack, sparkling and still cider, apple butter, and muddled apple. While there are plenty of classic and new recipes that use applejack, Calvados, and cider, consider great complementary pairings like apple products with Scotch, agave, Benedictine, and Yellow Chartreuse. 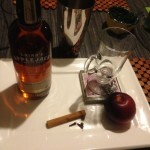 Could you substitute champagne for sparkling cider, Calvados for Cognac, Laird’s Bonded for whiskey? Sure, feel free to make a riff on a classic as well. With all those options and more, there is something for everyone to join in on the fun. Okay. I first intended to follow in the footsteps of last month and make another batched drink worthy of a holiday party – mulled cider! Then, reality asserted itself and I didn’t get the time to mull it over the weekend. 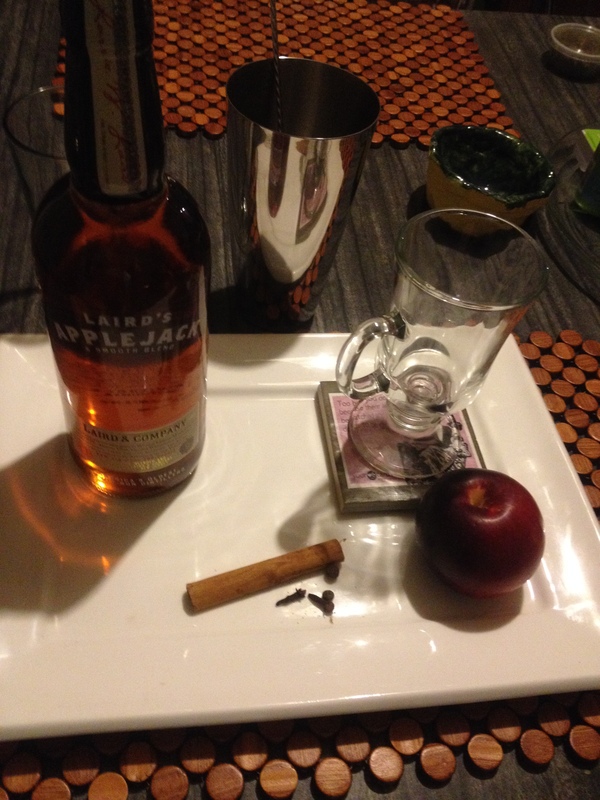 What I was left with, however, was a nice little supply of spices, applejack, and apples. As long as it is December, it may be time to revisit the Hot Toddy and make a warming cocktail for the winter months. Since I had fresh Arkansas Black apples from the farmers market, they needed to be used! 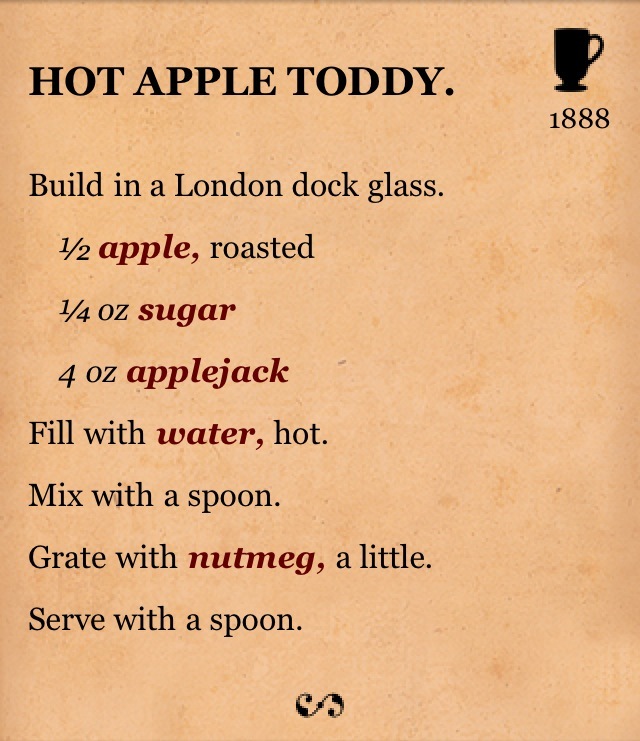 I was intrigued by the idea of a Hot Apple Toddy from Harry Johnson’s New and Improved Illustrated Bartenders Manual. Taking half a roasted apple and macerating it in applejack with a little sugar and hot water would be wonderfully aromatic but the serving with a spoon thing worried me. What could I do to work with this idea but maybe cut back on the gloop? My local stores didn’t have any Laird’s Bottled in Bond, so I settled for the standard Lairds … which is still an 80 proof apple spirit. I’ll reduce the amount of alcohol a little bit for a single serving. 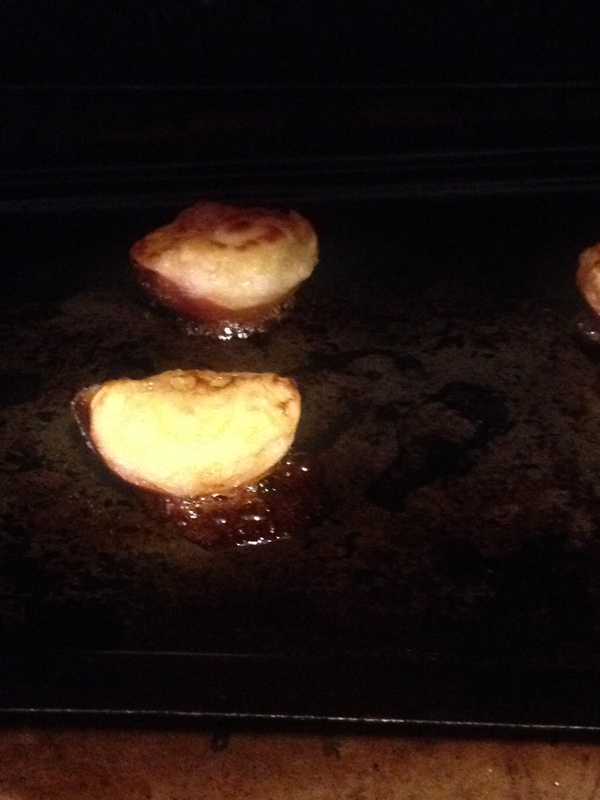 I started by roasting cored Arkansas Black Apples cut into quarters and rolled in sugar. After 15 minutes under a broiler, we had a winner. 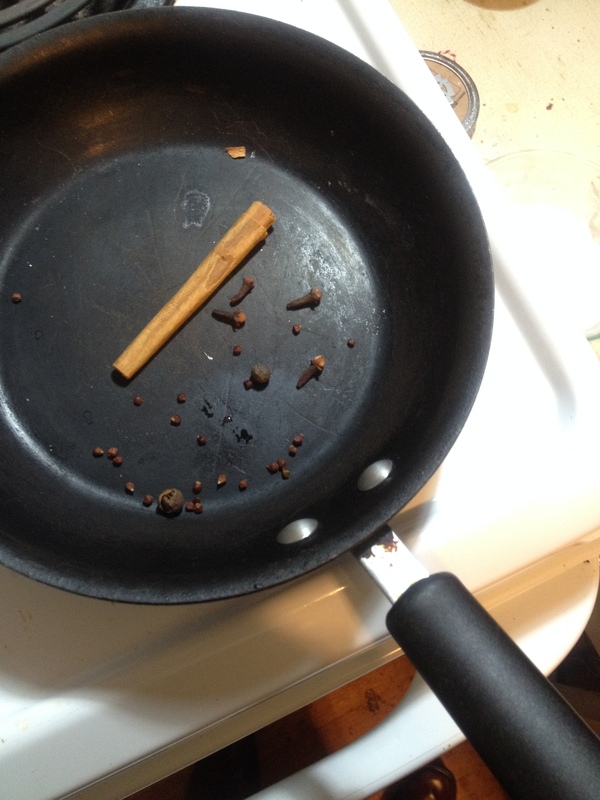 While the apple was roasting, I put a cinnamon stick, two cloves, and two grains of paradise in a pan to toast slightly waking them up. 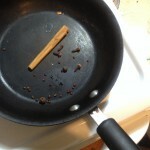 Toasting spices is a lot like slapping herbs where you get the essential oils and flavors to express more cleanly. I added the toasted spices in a shaker and just enough hot water to cover them. I let this concoction steep to get as much flavor out of the spaces before the soon to follow shaking. 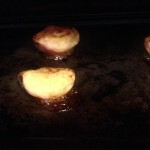 When the apples were finished, a roasted half of the small apples was placed in the shaker. Be extremely careful here as the sugar and apple juices have caramelized into a candy syrup. I added some ice and the applejack after slightly mushing the apple. Shake to take out your daily frustrations. Strain. Strain well to get the pulp out but to keep the appley flavor. Strain into a heat proof glass, top with more hot water , garnish with some freshly grated nutmeg and an apple slice. Tasting notes – How did this go? Well the first run through wasn’t that great. Honestly, I wasn’t getting enough apple and my laziness meant too much pulp. The second time through, I mu ddled the apple in the spice infused water with the applejack instead of shaking with ice. I double strained it into the glass before adding only half again the same amount of water. Ahh! Now we are somewhere. 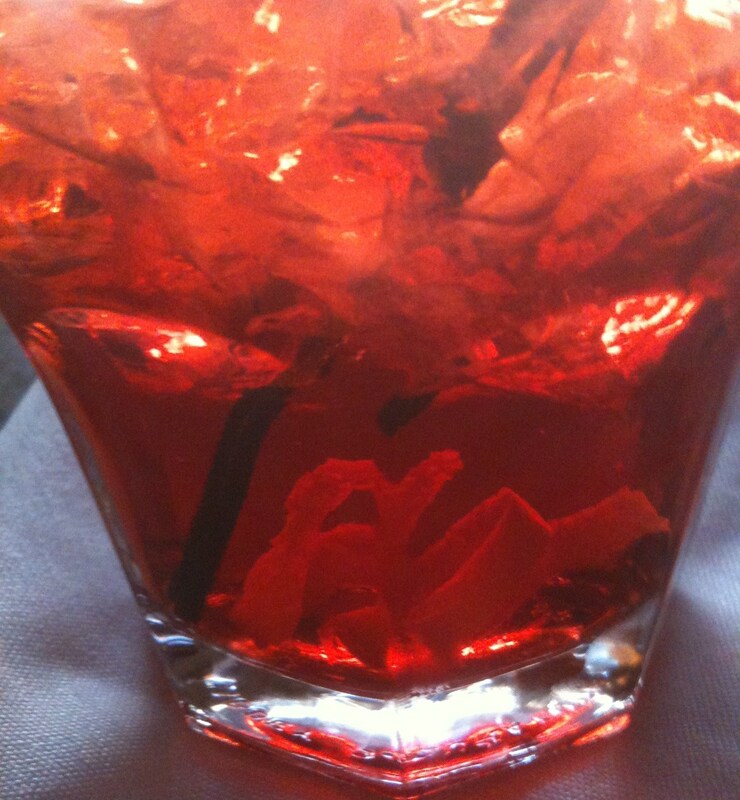 While this isn’t my best Mixology Monday last minute concoction, it was certainly worth it for the month. The freshly grated nutmeg is a big plus when coupled with the subtle mulling spices that worked their way into the drink. The Arkansas Black Apples have just enough tartness to minimize the need for citrus in the cocktail while the caramelized sugar adds the depth you would want from a whiskey drink. It was a warming drink, but not too hot allowing for a potentially dangerous speed of consumption. This only increases your perceived warmth. Add the roasted apple and applejack. Muddle well. Double strain into a serving glass and top with 2-3oz of hot water. 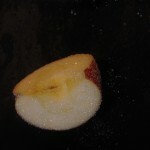 Garnish with freshly grated nutmeg and an apple slice. 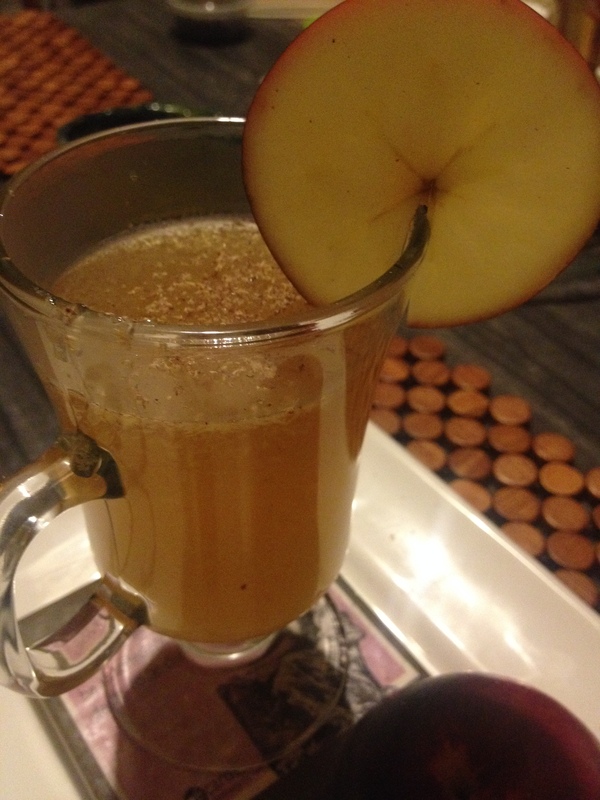 While I am apologetic for not getting the mulled cider in, this Hot Apple Toddy certainly fits the bill giving apples their due.